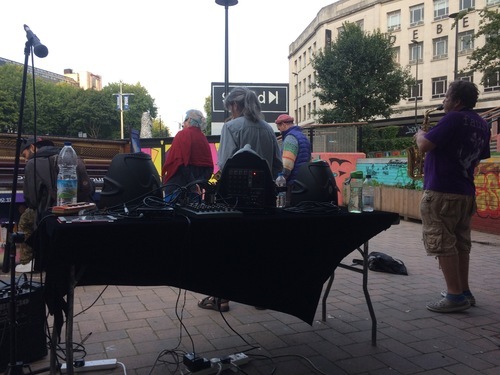 Hosted by the Bearpit Improvement Group. Decorated by Sickboy. Piano donated by St Pauls Learning Centre. Opening hours: Sporadic. 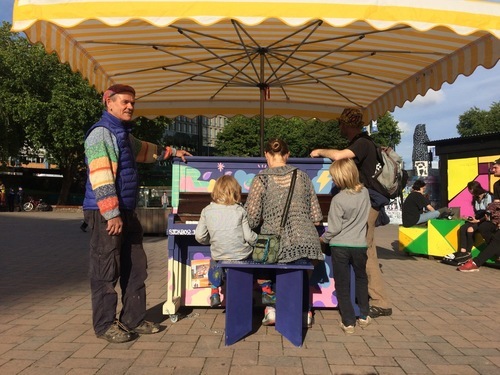 You can book a specific date/time to play this piano by calling the Peoples’ Republic of Stokes Croft on 0117 214 0029 and they will arrange for the piano to be bought out storage for you. Originally posted on twitter by Olive Bridget. 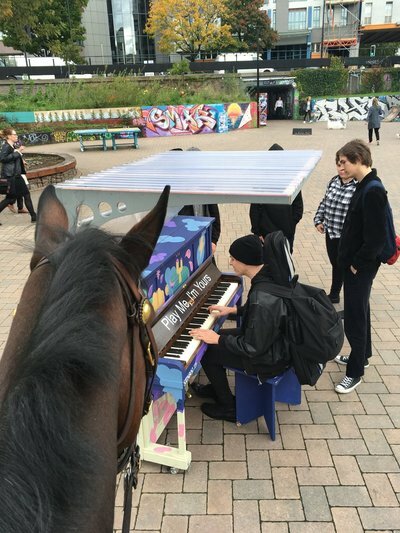 The kids were very interested in this piano in the Bear Pit and wanted to have a play. So they did. 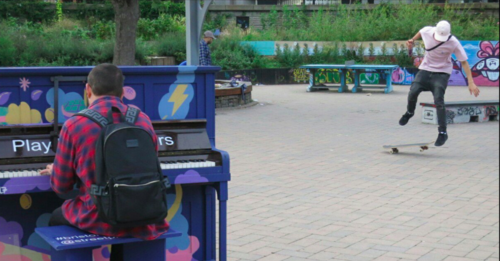 This chap played the piano for at least half an hour, never hit a bum note, didn't have any sheet music and didn't repeat himself - it was a pleasure to hang out filming him whilst kids skateboarded and cycled in the background. Someone playing and someone else waiting to play, I can see this one is going to be popular. It's even got it's own sun/rain shelter! I popped down to check the piano this morning and this guy said he'd like to learn to play the piano - I thought he was doing a fine job! Looking forward to seeing people having fun with this one!